Born: August 27, 1832 in Sandwich Ma. 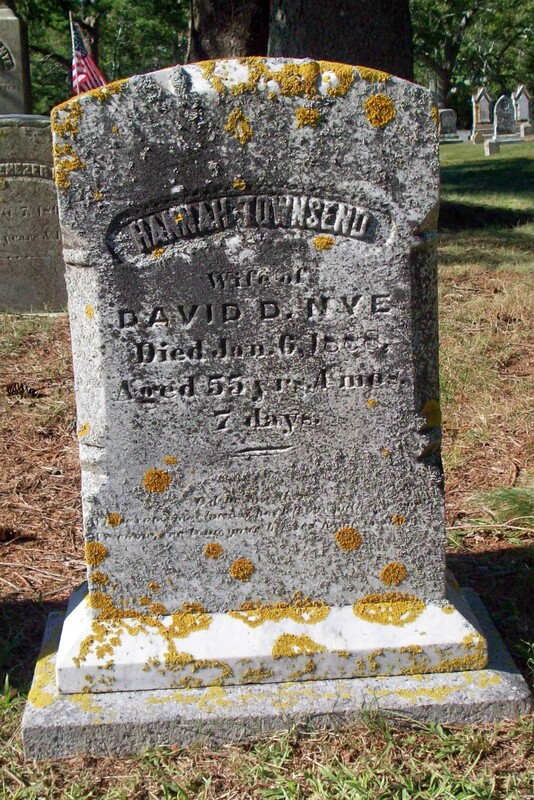 Died: January 6, 1888 in Bourne Ma. at 55 yrs, 4 mos, 7 d.
To: David Dimmick Nye; (1833 – 1910) (Ebenezer Nye, Jr., Capt. 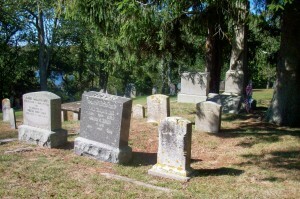 & Syrena Dimmick); David married (2) Esther F. Eaton Dennis (1843 – 1922) (Frederick Eaton & Catherine Kern) in Bourne Ma. 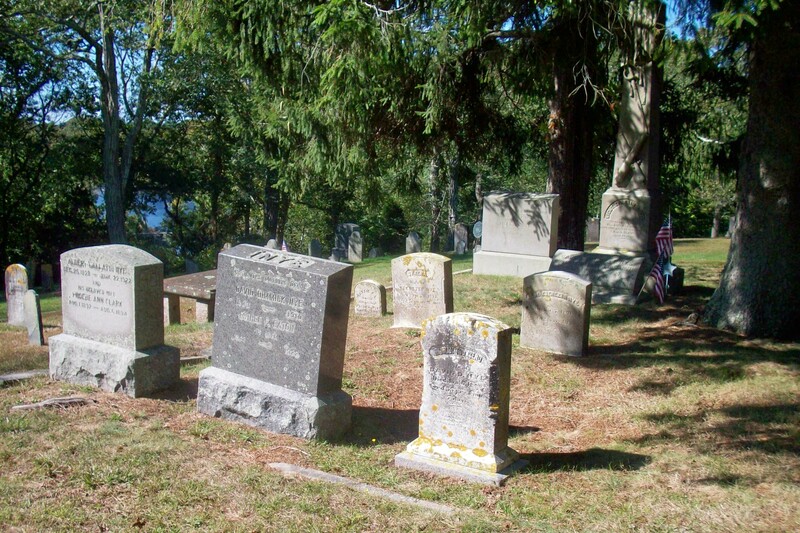 on October 4, 1888; Esther married (1) George H. Dennis (1843 – 1883) (William Dennis & Mary Crygier) in Sandwich Ma. on June 21, 1863.